It’s summer in New York. It’s hot. It’s humid. And the last thing you want to do, no matter how hungry you are, is make your already stifling apartment any worse by turning on that oven. And your chances are slim of having access to a private outdoor space of any kind -- let alone one big enough to safely hold even the smallest model of that most hallowed of summertime culinary devices, the charcoal grill. The good news? Hidden in plain sight among the more than 30,000 acres of land managed by New York City Department of Parks and Recreation are a wealth of areas for grilling that are free and open to the public, many of which already have grills on premises. The trick is finding the right one for you. 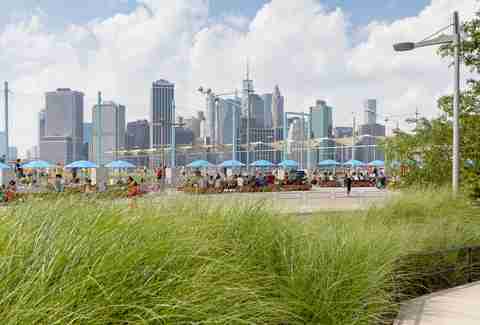 We’ve rounded up ten of the best parks for grilling in Gotham -- but before you go, prepare! 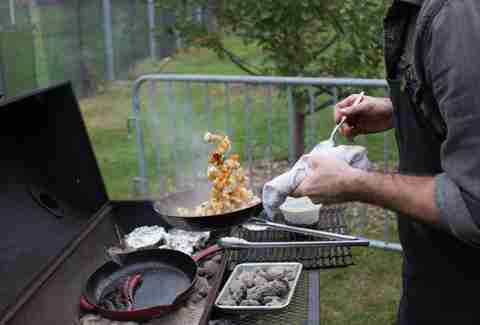 Grilling locations in public parks are popular during the summer, so arrive early to secure a spot. If you’re thinking of inviting a crowd of 20+ people, don’t forget to get a permit. Make sure to bring enough charcoal, lighter fluid, and kindling for everything you plan to cook, as the city doesn’t provide gas grills. (No wonder vaunted propane salesman Hank Hill is horrified by his place of birth.) Oh, and don’t forget to clean your grill safely -- that would be without a grill brush -- before using it. You never know what some freelance chef may have left behind the night before. Speaking of drinking, the consumption of alcohol is, like smoking, prohibited in city parks, no matter how good a cigar and single malt Scotch with that skirt steak sounds. But, while we’re not encouraging you to find a workaround, know that public drinking in Manhattan was decriminalized in 2016. You can still get a ticket, so sip smartly, and don’t cause a scene. You’ve seen the smoke, now feel the fire. Here are 10 of the best places to get your grill on in NYC. 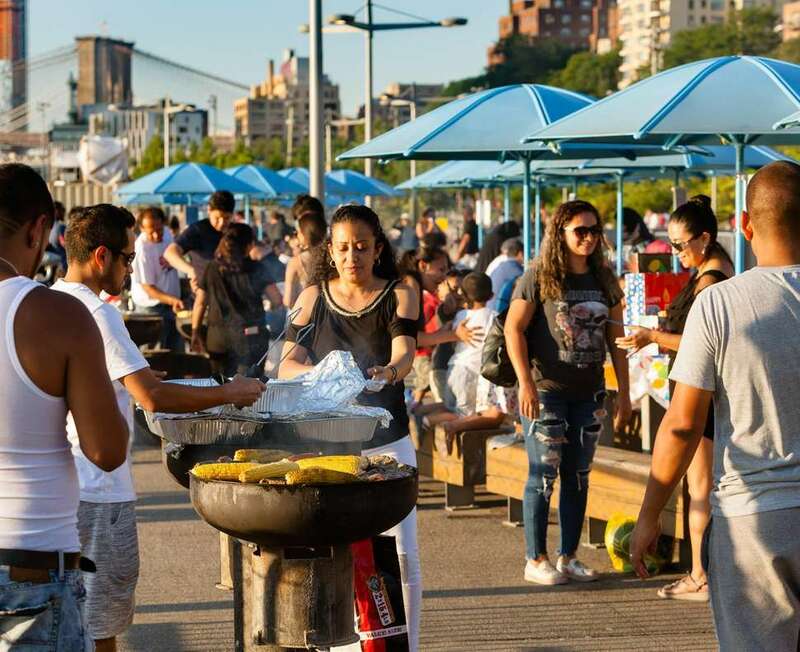 There’s nothing like the sound of sizzling of patties and veggies on a hot grill as the sun sinks behind the Manhattan skyline and the lights on the one of the oldest roadway bridges in the US shine clean through the summer night. Brooklyn Bridge Park, settled on the shoreline of the East River between Governor’s Island and the Brooklyn Bridge and just across the water from the southernmost tip of Manhattan, has some of the best views of the city. The grills themselves are on Pier 5. A Key Foods on the corner of Montague and Hicks Streets means there’s no need to lug a bunch of supplies much farther than a few blocks; a wine and liquor store sits even closer. 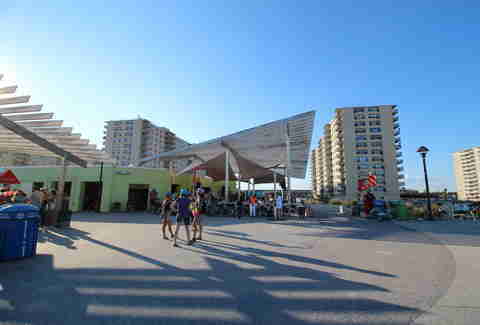 BBP is a modern study in gleaming concrete, so what little shade there is will come from umbrellas, not trees. Be prepared to catch some rays. There are, to paraphrase the inimitable Soulja Boy, approximately thirty thousand hundred million places to grill in Brooklyn’s second-largest public park. It gets crowded, not only because of its central location, but because both the park and the surrounding areas have an abundance things to do and see, including the Brooklyn Museum and Brooklyn Botanic Garden. (So, should you get rained out or pushed out by the teeming masses, you’ll have a backup plan.) Get there early and snag a grill by the bandshell, where you’re likely to catch some free music in the evenings from BRIC without having to wait in any lines. There are plenty of places to grab cooking supplies in the area, too, since Park Slope’s well-peopled Seventh Avenue is just a few blocks away. At a whopping 2,765 acres, this is the largest park in the city by a mile (and a half). Its size and amenities (golf courses, nature trails, a lagoon, a National Historic Landmark in the Bartow-Pell Mansion, and of course, grills) will make you feel like you’ve skipped town. Two of four grilling areas are right by Orchard Beach, which looks out to the east on Pelham Bay proper, just north of City Island on Orchard Beach -- one on the North Lawn, and one on the South. They’re deep into the park, so shop ahead of time. There is a parking lot right by the beach, making those grilling areas fairly easy to access by car, and the closest subway line is walking distance from the park, but not the beach, so plan accordingly. While smaller than Pelham Bay, Van Cortlandt is still the city’s third-largest park, with big benefits. One of the two grilling areas here is nestled cozily near the park’s public pool, which makes for a perfect pairing on a hot day. (It’s a short walk from 238th Street stop on the 1 train, which is just two blocks north of a Stop & Shop, so you won’t have to lug supplies all the way from home to make for a successful cookout.) And while you can’t grill ‘em up, visitors can catch and release fish from the shores of Van Cortlandt Lake -- the Bronx’s largest body of freshwater. A scratch-made carrot cake from nearby Lloyd's will hit the sweet spot. 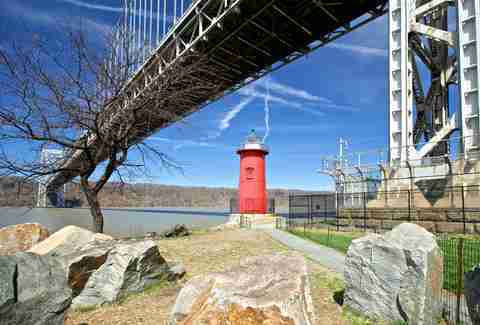 Occupying a stretch along the Hudson River on the west side of most of Washington Heights and Hudson Heights (and nestled just under the dreaded George Washington Bridge), this park boasts its share of history. The former site of the Revolutionary War fort that gave the park its name, this was one of twin structures built to keep the British from heading north along the Hudson River. 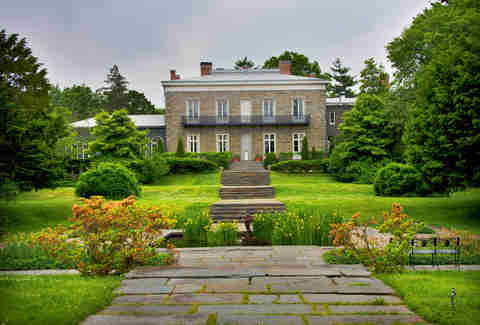 It’s got a historic lighthouse, is just south of another historical landmark in Inspiration Point, and is connected to Fort Tryon Park, home to the Met Cloisters. Its designated barbecuing area is just north of 158th Street and just south of a “Nature Discovery Area” that has a zip-line course for kids. There's a Foodtown a few blocks northeast of the grills on the corner of 160th and Broadway. Randall's Island -- just east of Manhattan, and technically part of the borough -- has six grilling areas, four of which are water-adjacent. But your best bet is to nab a spot in the Flagpole Lawns, central to golf, tennis, an urban farm, and Icahn Stadium, which hosts sporting events throughout the year. The island also hosts music festivals, so if you time your barbecue right, you could luck into some free tunes. A blessing or a curse, Randall’s Island Park is not the easiest to access. The M35 bus is your second-best best; a car is your first. Make sure you pick up groceries in advance. Make a perfect Rockaway Beach day even better with your own curated barbecue menu. The grilling area is near plenty of parking, a short walk away from the boardwalk, and one of those white sand beaches Long Island -- yes, that includes Queens -- is famous for. It’s the premier summer spot for sizzling steaks, shrimp, and squash alike. Shop Fair and Compare Foods supermarkets are a few blocks away, across Seagirt Boulevard on 20th Street. Hark, wild child! Clove Lakes Park is where it’s at. 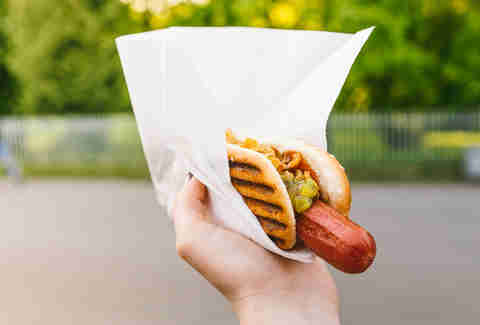 Grills are confined to the picnic area at Clove Road and Victory Boulevard, and the greater area is unbeatable. It’s got multiple lakes and ponds, lots of lovely serpentinite structures for geology nerds, and loads of animal life you’ll scarcely find elsewhere in the city, including largemouth bass, red-tailed hawks, snapping turtles, and cottontail rabbits. Perhaps the biggest draw is the park’s near-120-foot tulip tree, Staten Island’s largest, and likely oldest, living thing. And if that’s not enough to keep you occupied . . . well, the Staten Island Zoo is just around the corner. Wolfe’s Pond Park’s barbecuing area is near its heart, where Hylan Boulevard cuts the park neatly in two. On the north side you’ll find a wooded area with two small ponds that’s much less trafficked than the southern part of the park, and perfect for some clandestine smooching. The real action is south of Hylan. 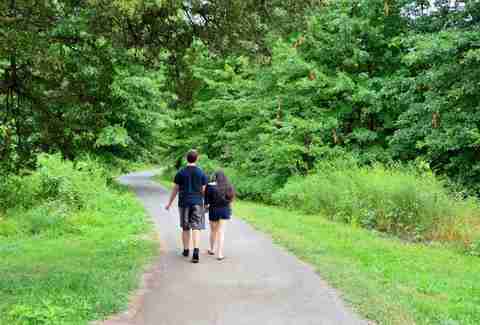 In addition to the titular Wolfe’s Pond, it's got walking paths, sprawling fields, and a beach overlooking Raritan Bay -- so when you aren’t staring into your sweetheart’s eyes, you’ll be staring at the lovely seaside together. Well, what are you waiting for, you cuties? Go do it! Go fall in love! Over burgers!